The creative juices have been flowing the last few days with some imaginative speculation about what Mustang models might be produced in the near future. Yesterday we showed you the TopSpeed.com’s rendering of a 2013 Mustang Bullitt, and they have followed that up today with the 2013 Mustang Mach 1. 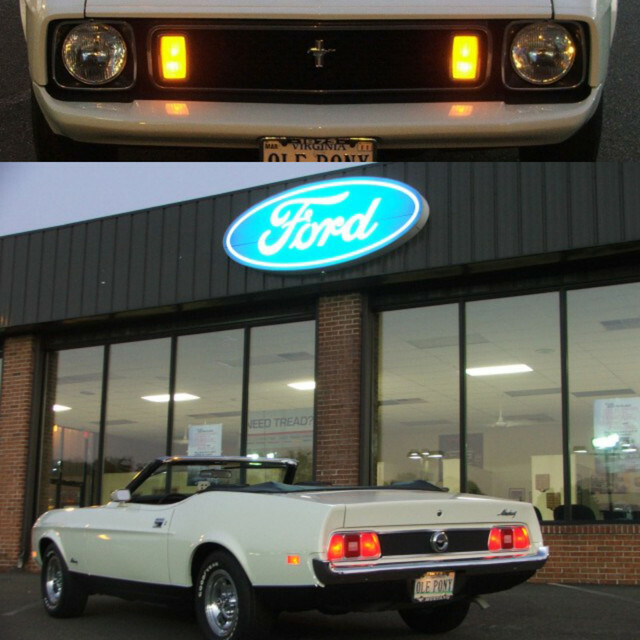 The speculated Mach 1 takes heavily from the 1971-1973 model’s styling, with the black graphics and NACA ducts on the hood, rectangular lights within the grille, a more aggressive front fascia and black rear spoiler. Now that is very cool.....I'd love one of those! If this comes true, it could be the big one for us! LOL! Notice the heavy 71-73 styling queues! I love it! I think I'd put some Magnum 500's on it! Wonder if it will come in yellow? I'll take one in White!